110 stories. 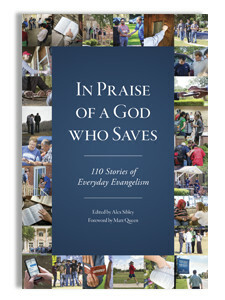 110 testimonies of God’s saving grace. Since Southwestern Seminary was founded in 1908, its students, faculty, and alumni have strived to preach the Word, reach the world. This volume comprises 110 stories—one for each year since the seminary’s founding—of the Gospel going forth through the witness of these Southwesterners, with many of them seeing people come to saving faith in Jesus Christ. These stories will both encourage and convict readers in their evangelism, and above all, the stories will inspire them to praise our amazing God for being a God who saves. The 110 stories were written by Southwestern Seminary’s writing staff. Alex Sibley, managing editor of Seminary Hill Press and associate director of news and information at Southwestern Seminary, served as the volume’s editor. The book’s foreword was written by Matt Queen, L.R. Scarborough Chair of Evangelism (“Chair of Fire”) at Southwestern.